اکبری, حبیب اله, پرتوی همراه, رضا. (1395). پرس داغ اصلاح‌شده برای ساخت کامپوزیت‌های زمینه سرامیکی. علوم و فناوری کامپوزیت, 3(2), 139-146. حبیب اله اکبری; رضا پرتوی همراه. "پرس داغ اصلاح‌شده برای ساخت کامپوزیت‌های زمینه سرامیکی". علوم و فناوری کامپوزیت, 3, 2, 1395, 139-146. اکبری, حبیب اله, پرتوی همراه, رضا. (1395). 'پرس داغ اصلاح‌شده برای ساخت کامپوزیت‌های زمینه سرامیکی', علوم و فناوری کامپوزیت, 3(2), pp. 139-146. اکبری, حبیب اله, پرتوی همراه, رضا. پرس داغ اصلاح‌شده برای ساخت کامپوزیت‌های زمینه سرامیکی. علوم و فناوری کامپوزیت, 1395; 3(2): 139-146. در این مقاله، روشی جدید برای پرس داغ صفحات نازک معرفی می‌شود. روش قدیمی پرس داغ با وجود دستیابی به چگالی نزدیک به چگالی نظری، قیمت بسیار بالایی دارد. دستگاه معرفی‌شده در این مقاله، با حفظ مزیت دستیابی به چگالی نظری، قیمت ساخت و کارکرد پایینی دارد و برای انجام پرس تنها به یک کوره الکتریکی معمولی نیاز دارد. با وجود تمام این مزایا، محدودیت این دستگاه آن است که تنها قابل استفاده برای ساخت صفحات نازک سرامیکی است. در این مقاله در ابتدا توضیح خلاصه‌ای در مورد کامپوزیت‌های زمینه سرامیکی داده می‌شود و تأثیر ترکیبات و روش ساخت بر خواص آن به بحث گذاشته می‌شود. سپس روش‌های شکل‌دهی پودر معرفی ‌شده و مزایا و معایب هرکدام به بررسی می‌شود. در ادامه پرس داغ انبساطی معرفی شده و مراحل ساخت و روش کار آن توضیح داده می‌شود. در پایان یک کامپوزیت زمینه سرامیکی استفاده شده و نتایج آن بررسی می‌شود. Dauskardt, R. H. James M. R. Porter, J. R. and Ritchie R. O., “Cyclic Fatigue-Crack Growth in a SiC-Whisker-Reinforced Alumina Ceramic Composite: Long- and Small-Crack Behavior,” Journal of the American Ceramic Society”, Vol. 75, No. 4, pp. 759-771, 1992. McMeeking, R. M. and Evans, A. G., “Matrix Fatigue Cracking In Fiber Composites” Journal of Mechanics of Materials , Vol. 9, No. 3, pp. 217-227, 1990. “Basics About Metals, Ceramics And Polymers”, http://www.lehigh.edu/~amb4/wbi/kwardlow/basicsofmcp.htm, available in 1, February 2016. Smith, P. A. and Yeomans, J. A., “Materials Science and Technology”, Vol. 2, pp. 6. Cantor, B. Dunne, F. and Stone, I., “Metal and Ceramic Matrix Composites”, Series in materials science and Engineering, Chapter 5, “Ceramic matrix composites for industrial gas turbines”, Hazell, M., pp. 77-86, 2004. Chawla, K. K., “Ceramic Matrix Composites”, Chapman and Hall, London, 1993. Herbel, T. and Eckel, A. J., “Ceramic Matrix Composite Applications in Advanced Liquid Fuel Rocket Engine Turbomachinery” Journal of Engineering for gas turbines, Vol. 28, No. 1, pp. 58-63, 1993. Duffy, S. F. Palko, J. l. De Bellis, C. L. Edwards, M. J. and Hindman, D. L.,” Design Protocols and Analytical Strategies that Incorporate Structural Reliability Models”, Journal of Engineering for gas turbines, Vol. 119, No. 4, pp. 782-789, 1997. Izumi, T. and Kaya, H.,” Ceramic Matrix Composites Application in Automotive Gas Turbines”, Journal of Engineering for gas turbines, Vol. 119, No. 4, pp. 790-798, 1997. Nishio, K. Igashira, K. Take, K. and Suemitsu, T.,” Development of a Combustor Liner Composed of Ceramic Matrix Composite (CMC)”, Journal of Engineering for gas turbines, Vol. 121, No. 1, pp. 12-17, 1999. Miriyala, N., Simpson, J.F., Parthasarathy, V.M. and Brentnall, W.D., “The Evaluation Of CFCC Liners After Field-Engine Testing In A Gas Turbine”, ASME paper, (99-GT), p. 395, 1999. More, K. L., "Exposure Of Ceramics And Ceramic Matrix Composites In Simulated And Actual Combustor Environments." ASME 1999 International Gas Turbine and Aeroengine Congress and Exhibition, American Society of Mechanical Engineers, 1999. Jurf, Robert A. and Butner. S C., "Advances in oxide-oxide CMC." In ASME 1999 International Gas Turbine and Aeroengine Congress and Exhibition, pp. V004T02A002-V004T02A002. American Society of Mechanical Engineers, 1999. Sternitzke, M., "Structural ceramic Nanocomposites." Journal of the European Ceramic Society Vol.17, No. 9, 1061-1082, 1997. Jones, J., “Stealth Technology—the Art of Black Magic”, Blue Ridge Summit, PA: Tab Books, 1989. Evans, A. G. and David B. M., "Overview No. 85 The Mechanical Behavior Of Ceramic Matrix Composites." Acta Metallurgica Vol.37, No. 10, pp.2567-2583, 1989. Clegg, William J., "The Fabrication And Failure Of Laminar Ceramic Composites." Acta metallurgica et materialia Vol.40, No. 11, pp.3085-3093, 1992. Davidge, R. W., Brook, R.J.,Cambier, F., Poorteman, M., Leriche, A., O'sullivan, D., Hampshire, S. and Kennedy, T., "Fabrication, Properties, And Modelling Of Engineering Ceramics Reinforced With Nanoparticles Of Silicon Carbide." British ceramic transactions Vol. 96, No. 3 pp.121-127, 1996. Sambell, R. A. J. Bowen, D.H. and Phillips, D.C., "Carbon Fibre Composites With Ceramic And Glass Matrices." Journal of Materials Science Vol.7, No. 6 pp: 663-675, 1972. Beier, W. and Markman, S. "Fiber-Reinforced Glass." Advanced Materials and Processes”, Vol.152, No. 6, 1997. Holmquist, M., Lundberg, R., Razzell, T., Sudre, O., Molliex, L. and Adlerborn, J., "Development Of Ultra-High Temperature Ceramic Composites For Gas Turbine Combustors." In ASME 1997 International Gas Turbine and Aeroengine Congress and Exhibition, American Society of Mechanical Engineers, pp. V004T13A018-V004T13A018, 1997. Becher, P. F. Sun, E. Y., Plucknett, K. P., Alexander, K. B., Hsueh, C., Lin, H. and Waters S.T., "Microstructural Design Of Silicon Nitride With Improved Fracture Toughness: I, Effects Of Grain Shape And Size." Journal of the American Ceramic Society Vol. 81, No. 11 pp.2821-2830, 1998. Sun, E. Y. Becher, P. F., Plucknett, K. P., Hsueh, C., Alexander, K. B., Waters, S. B., Hirao K. and Brito, M. E., "Microstructural Design Of Silicon Nitride With Improved Fracture Toughness: II, Effects Of Yttria And Alumina Additives." Journal of the American Ceramic Society-Including Communications of the American Ceramic Society, Vol. 81, No. 11 pp.2831-2840, 1998. Sternitzke, M. Derby, B. and Brook, R. J., "Alumina/Silicon Carbide Nanocomposites By Hybrid Polymer/Powder Processing: Microstructures And Mechanical Properties." Journal of the American Ceramic Society Vol. 81, No. 1 pp.41-48, 1998. Niihara, K. and Nakahira, A., "Strengthening And Toughening Mechanisms In Nanocomposite Ceramics." In Annales de chimie, Vol. 16, No. 4-6, pp. 479-486. Lavoisier, 1991. Zhao, J. Stearns, L. C. Harmer, M. P. Chan, H. P. Miller, G. A. and Cook, R. A., "Mechanical Behavior of Alumina–Silicon Carbide Nanocomposites" Journal of the American Ceramic Society, Vol.76, No. 2, pp.503-510, 1993. Ohji, T. Jeong, Y. Choa, Y. and Niihara, K., "Strengthening And Toughening Mechanisms Of Ceramic Nanocomposites." Journal of the American Ceramic Society Vol. 81, No. 6, pp.1453-1460, 1998. Jiao, S., Jenkins, M. L. and Davidge, R. W., "Interfacial Fracture Energy-Mechanical Behaviour Relationship In Al2O3/Sic And Al2O3/Tin Nanocomposites." Acta materialia, Vol.45, No. 1 pp.149-156, 1997. Ohji, T. Hirano, T. Nakahira, A. and Niihara, K., "Particle/Matrix Interface And Its Role In Creep Inhibition In Alumina/Silicon Carbide Nanocomposites." Journal of the American Ceramic Society Vol.79, No. 1 PP: 33-45, 1996. Kaplan, W. D. Levin, L. and Brandon, D. G., "Significance Of Faceting On Sic Nanoparticles In Alumina." In Materials Science Forum, Vol. 207, pp. 733-736. 1996. KNowles, K. M. and Turan, S., "Atomic Structure of a∑= 9< 011> Si3N4 Tilt Grain Boundary." In Materials Science Forum, Vol. 207, pp. 353-356. 1996. Kleebe, H. J. Hoffmann, M. J. and Rühle, M., "Influence Of Secondary Phase Chemistry On Grain Boundary Film Thickness In Silicon Nitride." Zeitschrift für Metallkunde Vol. 83, No. 8 pp: 610-617, 1992. Turan, S. and Knowles, K. M., "High Resolution Transmission Electron Microscopy Of The Planar Defect Structure Of Hexagonal Boron Nitride." Physica status solidi (a) Vol. 150, No. 1, pp: 227-237, 1995. Turan, S. and KNowles, K. L., "The Crystallography of Interphase Boundaries between Silicon Carbide and Silicon Nitride in Silicon Nitride—Silicon Carbide Particulate Composites." Interface Science Vol. 8, No. 2-3 pp: 279-294, 2000. Clarke, D. R., "On The Equilibrium Thickness Of Intergranular Glass Phases In Ceramic Materials." Journal of the American Ceramic Society Vol. 70, No. 1 pp: 15-22, 1987. Knowles, K. M. and Turan S., "The Dependence Of Equilibrium Film Thickness On Grain Orientation At Interphase Boundaries In Ceramic–Ceramic Composites." Ultramicroscopy Vol. 83, No. 3, pp: 245-259, 2000. Schuberta, T. H., Trindadeb, B., Weißgärbera, T. and Kiebacka, B., “Interfacial Design Of Cu-Based Composites Prepared By Powder Metallurgy For Heat Sink Applications” journal of Materials Science and Engineering: A, Vol. 475, No. 1-2, pp. 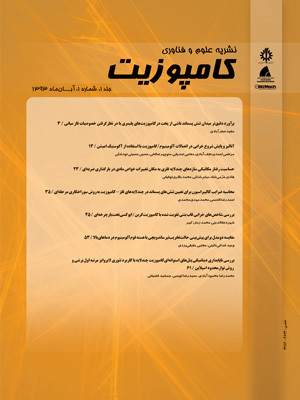 39–44, 2006.
http://www.ircomas.org/persian/?_extension=comContent-%3EcomNews-%3Edisplay_item&_template=page&id=3295, available in 1, February 2016. Shiqiang, H. Yide, Z. Danny, X. and Mingzhong, W., “Tape Casting Method And Tape Cast Materials “, US Patent, 7794557 B2, 2010. Nakai, T. Yoneda, M., Kofune, S. and Fujikawa, T., “Hot isostatic pressing apparatus and hot isostatic pressing method “, US Patent, 7011510B2, 2006. Schoberth, A., “Method Of Manufacturing A Component By Hot Isostatic Pressing”, EP patent 2551040A1, 1974. Janz, G. J. and Lorenz M. R., “Solid-Liquid Phase Equilibria for Mixture of Lithium, Sodium, and Potassium Carbonates”, Journal of chemical engineering, Vol6, No.3, 1961. Nakamura, j., “Molten Carbonate Fuel Cell And Method Of Manufacturing Electrolyte Plate Thereof”, US patent 4710436, 1987. Nickel Development Institute, A designer’s handbook, No 9004, pp16-17. http://accuratus.com/silicar.html, available in 1, February 2016. Li, T.L. Dickon H.L., “Formation Of Γ-Lialo2 Nano-Network In An Al-Based Metal Matrix Composite”, J. materials letters 61 (2007) pp1109-1113.